I’ve been bitten by the improv bug lately, and I’m happy I get to share a small improv finish with you all! 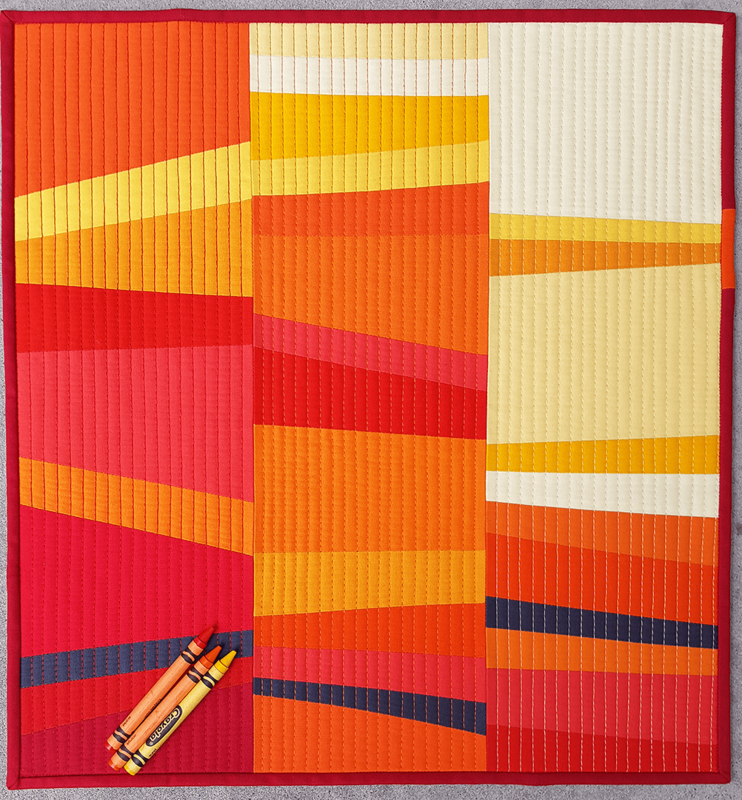 The Baltimore Modern Quilt Guild did a “Crayon Challenge” swap over the last couple of months. Everyone who wanted to participate picked three crayons at random, and then created a mini based on the colors they chose. It was okay to add some neutrals, but the quilt should be predominantly the colors chosen. I knew I wanted to do something with improv, and I just so happened to have purchased a Kona bundle of yellows to reds that has been collecting dust for ages. So I decided to finally cut into them and create a sunset inspired quilt. For the design, I actually was inspired by this Quilt Design a Day design I made a couple years ago, and used the idea of a color progression in my own version as well. 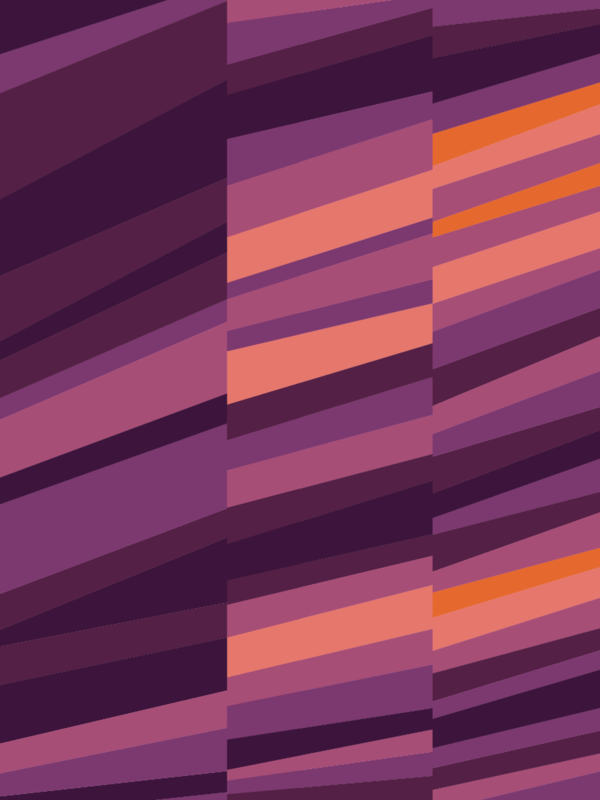 I wanted the impression of a gradient, but didn’t keep everything in strict color order to give it a more organic feel. With all the color, I wanted a neutral to bring in some contrast and make the colors stand out more. I was originally going to add white, but then I tried it with the charcoal and I liked how it referenced the dark Crayola branding on the crayons. 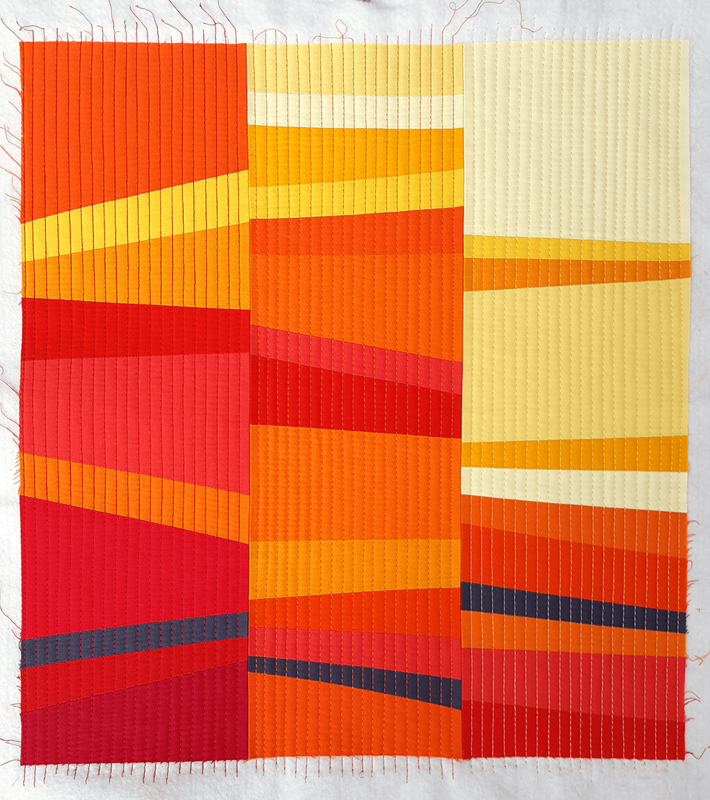 For the quilting, I used three colors: red, orange and yellow of various brands. The quilting is 1/4″ straight line with a walking foot. Overall I was really happy with how it turned out! My one critique is that I like the proportion of the columns in the original design a bit better, and in the mini they felt a little wider than I would have liked. Notes for the future! This design is super fast to put together, and I have a feeling I’ll be doing more of these in the future. And minis in general. I love how fast minis are but then never know what to do with them when I’m done. I love those improvs!!!! Keep them coming, Anne. Hope you saw my email. Saw it and am hoping to do an email deep cleanse this weekend because holy cow I’m so behind! And thank you for the kind words! I have another top done and a mini in-progress playing with improv. 🙂 Totally hooked. I was interested in your comment comparing the proportion of your columns in both examples here. So I took another look ..
Maybe the “crayola” columns are wider – you would know, but to me the “crayola” columns also appear wider by virtue of their brightness, if that makes any sense. To my engaged eyes, the width fits; so do the charcoal accents. Thanks for the fun exercise, Anne. Thank you so much for the kind words. 🙂 I do enjoy the bright colors quite a bit more! Thank you so much! 😀 That means a lot coming from an expert like you! I love the nod to the grey in the label of crayola in your piecing with the inclusion of charcoal! I appreciate the whole “story” of how you came to this quilt. Step by step. Thanks for taking the time to write it all out…. the quilt is great. This is so perfect! I love the charcoal reference to crayons! You are so damn clever! I like that Quilt Design a Day a lot and the proportion of those columns works very well with the dimensions and the spirit of the finished design. As for your critique on the proportion of the columns in the mini ( I love this mini!) I think the situation there is very different. 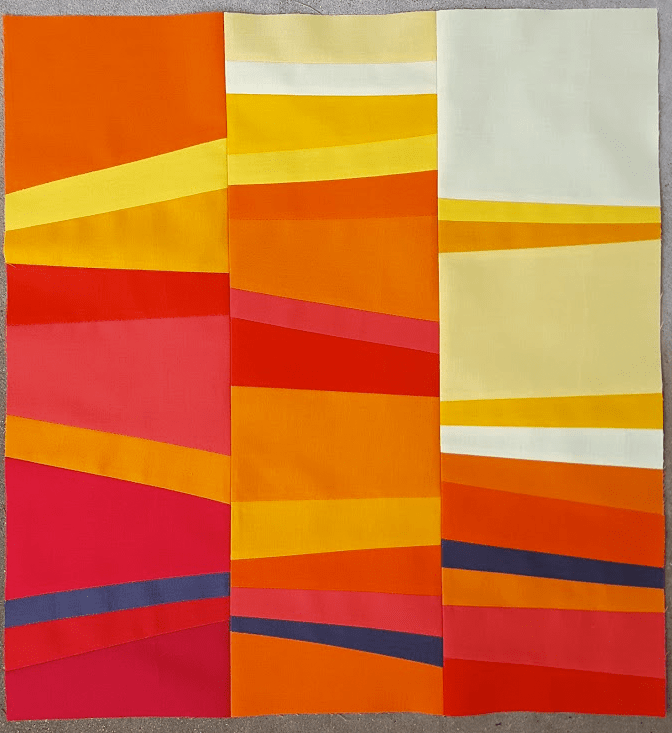 Not only the dimensions of this little quilt, but also the orientation of the strips make this a different design with its own proportional balance. I think it’s perfectly okay the way it is. I like this idea of using crayons as inspiration. I never tire of my box of 64 somewhat sharp crayons. The kids can use the stumpy ones, but my intact set stays exclusively for me. I also wonder about this mini-quilt phenomenon. It’s lovely to make quick quilts, but without the ability to wrap yourself in them…what are they for? I love the look of a fresh box of crayons! And it’s a really fun way to get a start with color. 🙂 I’ve actually been recreating the challenge at home by randomly picking paint tubes and using that set of colors in my quilts. 🙂 Only when I get stuck for a starting point, but it’s a great way to get going again. I love this – the colours are just right@! Thanks so much! 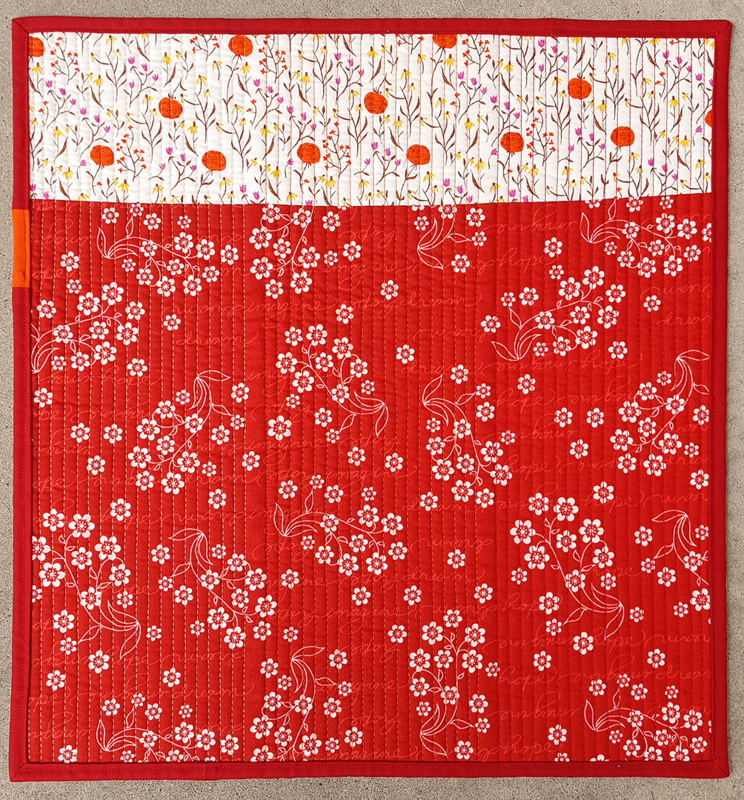 It was handy that I had that pre-made fat quarter bundle with all those Konas! This is great! 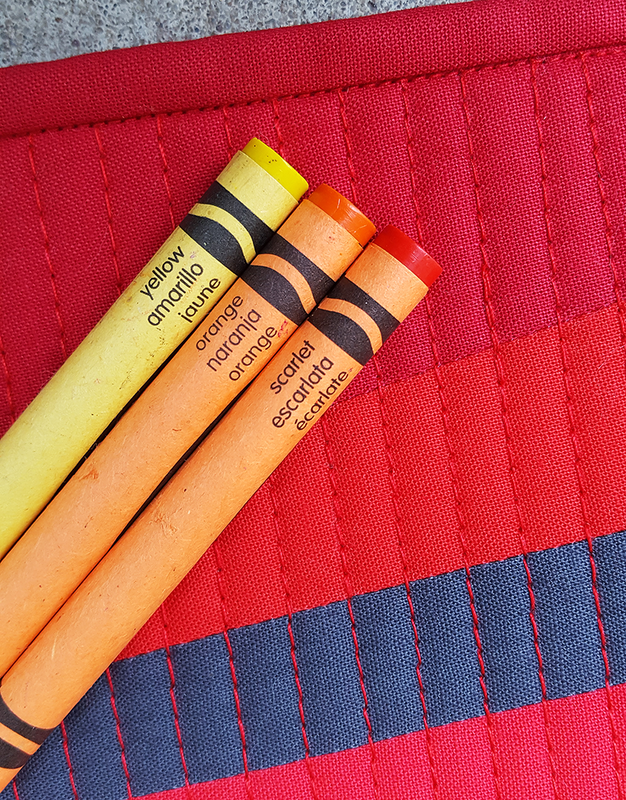 I love the idea of a crayon challenge! It’s just beautiful! Hi Anne! 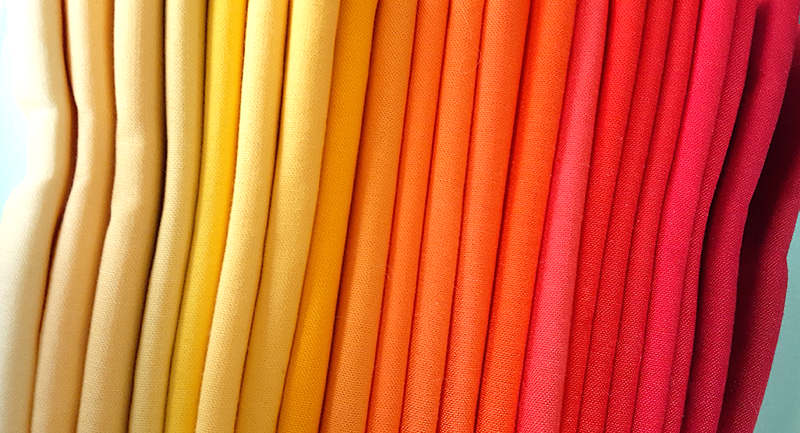 Can I use a photo from this post in my upcoming newsletter round-up of improv quilts? I’d link back here of course! I’m coming here from A quilters Table newsletter. I love your quilt. The colour progression is great and I love the balance in the piece. Charcoal is the perfect neutral in this piece.